How’s your Sleep? Good! I really have to give credit to myself for getting some exercise in everyday because I know that’s why I’ve been able to sleep so heavy every night. Favorite moment this week? 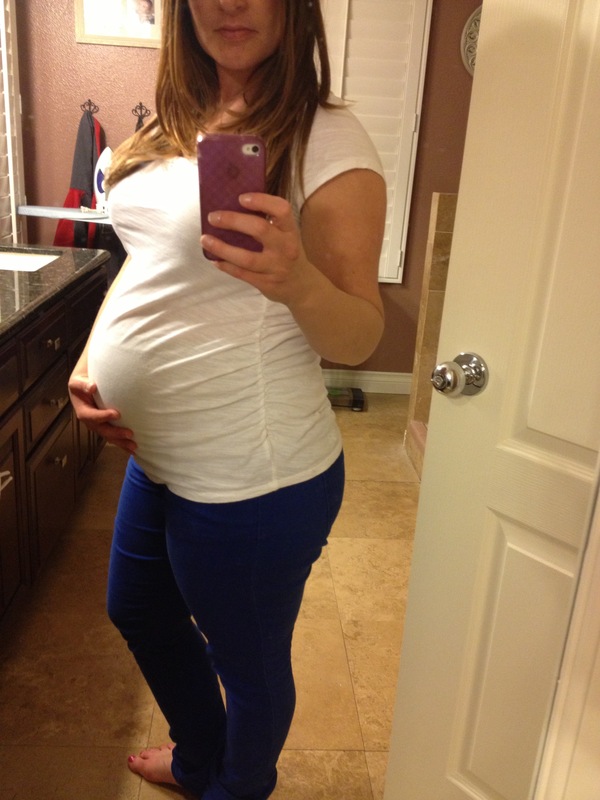 The realization that the house is almost ‘complete’ and ready for baby Ally to arrive. We have a few pieces of ikea furniture to put together and some other things in the nursery to get hung but it’s really a nice feeling to know that it will all be completed before she arrives. I have to admit I was feeling a little uneasy about how it was all going to come together but I’m happy now. And at one point, before she arrives, we also plan to update Bode’s room too with some fresh paint and furniture rearranging but if it doesn’t happen till after she arrives that will be okay too! Do you miss anything? Wine! Anything making you Nauseas? No, but I do have ‘morning sickness’ symptoms everyday around 3-5pm. Mood? Good, but I can definitely say we’ve had a lot of up’s and down’s over the past few months with Bode. I think he’s starting to feel that change is coming and that he won’t be the baby anymore. He has been asking Matt to rock him like a baby and then afterwards says ‘Bode is a big boy’. And he has definitely tried to test our limits with everything from bedtime to eating out to getting dressed, which has really been hard to manage especially when we have places to be. I just have to stop myself from getting upset and get down to his level to listen to him and show him that he will always be my little man. Even writing this makes me a little emotional because he is just growing up so fast. I spent more time this week playing with him after work and less time cooking dinner and cleaning the house. I want him to know that he is my number one priority right now, and that a new baby doesn’t replace his role in the family it only strengthens it. Of course, I’m saying this about a 2 ½ year old that could probably care less but when I look back at this post a few years from now I’ll probably be thinking to myself, ‘Wow, do you remember when Bode was like that?’… This is probably the best way I can document those memories. What are you looking forward to? Not having to get dressed every day for work… this was the first week where I’ve really had a hard time finding clothes to wear each and everyday. Less than a month to go and then (as Matt says), I can go in hibernation before the baby arrives. 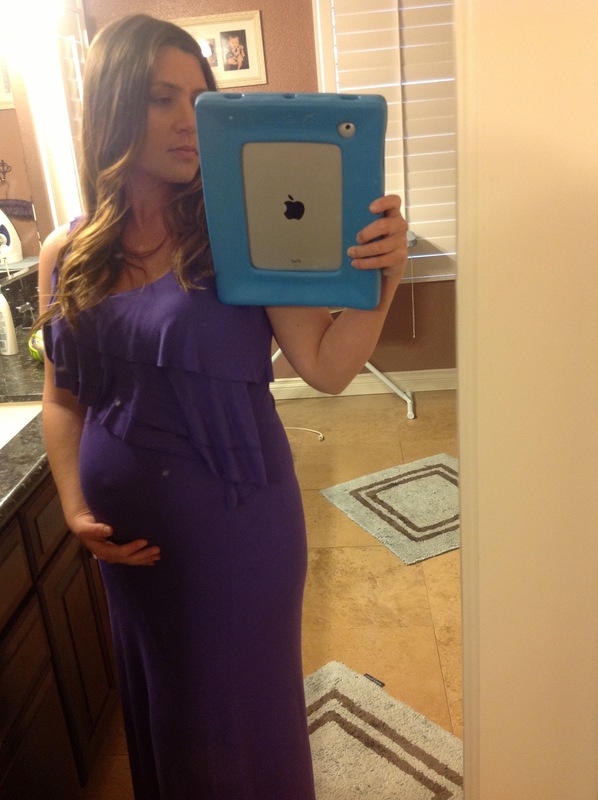 I’m also looking forward to professional (maternity/family) pictures this week since I feel like I just can’t get a good picture from anyone these days… Maybe I’m being too critical but 99% of pictures I take make me look like huge!!! Yay I know I’m pregnant but I swear the pictures don’t equal what I see in the mirror or even on the scale, I can’t say I’m one of those Mommy’s that makes pregnancy ‘look good’, good thing I’ve got less than 2 months to go! ***please excuse my messy bathroom, it’s one of the only full length mirrors I’ve got around here! 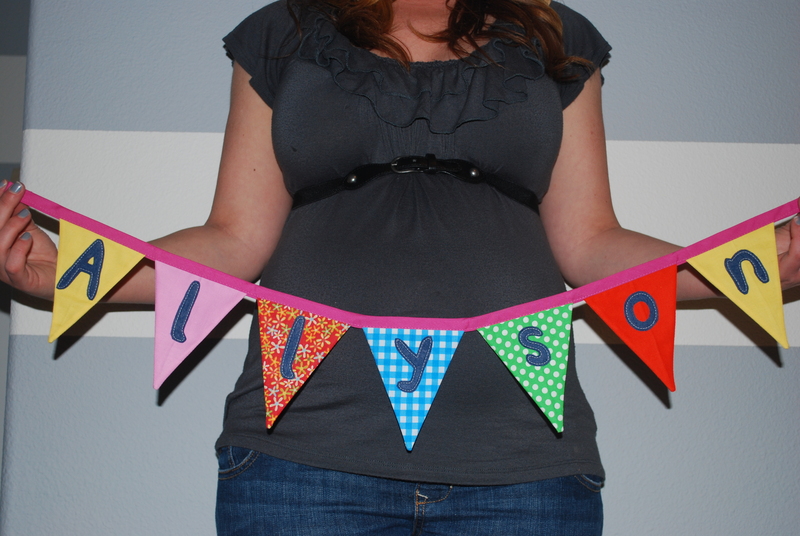 30 weeks… And the Name Reveal! How’s your Sleep? Still hard to fall asleep with all the movement in my belly but I’ve been sleeping pretty heavy once I do fall asleep. I probably get up once in the middle of the night but I can definitely tell my body is craving sleep because I’ve been getting almost 9 hours every night and I’m still exhausted. Favorite moment this week? Bode noticing my belly more and even giving more kisses to his ‘sister’. It’s actually funny how he all of a sudden noticed my belly more; although he hasn’t felt her kick yet I’ve been trying to get him to feel for it more lately. Anything making you Nauseas? No, but I do have a little nausea in general in the afternoons so I make sure I’m eating small meals throughout the day. Mood? I’ve been really emotional lately, I think because the constant movement reminds me all day long how pregnant I am and its going so fast. What are you looking forward to? Having a clean house again (LOL)! I usually have someone come clean my house 1x/month and since we’ve been having construction going on to get this nursery up and ready it’s now 3 weeks past the date I would have had a clean house. I have to admit it’s my favorite day of the month, and it’s so cute now when we get home Bode and I go check out every room in the house and he tells me “oooh, it’s so clean mama” with each room we view. Next week I’ll finally have a clean house again! And it was an obvious choice from the beginning that we both agreed our favorite was Allyson or Ally (we had different opinions on our 2nd favorite)… So without further ado, we look forward to introducing the newest addition to our family sometime in late May- Allyson Honor Hank.